St. Andrews Country Club is a secure luxury and estate home and country club community located on the North side of Clint Moore Road, West of Jog Road in Boca Raton, Florida. Established in 1982, the motto for St. Andrews Country Club is simple: "You've earned it...now is the time to enjoy it." When you want the most amenities, class and service, in a community you can trust, then browse the elite real estate listings of St. Andrews Country Club, a Platinum Club of America recognized property. St. Andrews Country Club professional staff understands how to create an impressive and active community lifestyle that represents both class and relaxation. The expert on-site culinary team has all of your high-class tastes covered, from Sunday brunch to gourmet seafood. The gated and secure community of St. Andrews Country Club has 739 single family homes that range from 2,500 to 15,000 square feet. The classic, contemporary and Mediterranean-style homes set on large 1/2 to 1/3 acre lots. All homes feature beautiful golf course and/or water views. The estate homes for sale in the St. Andrews Country Club are amazing! The community spans 718 acres, 70 of which include sparkling lakes, and offers more than just luxury homes for sale. The grounds have formal and casual dining from a world acclaimed culinary team, a diverse social calendar and a relaxing and full service salon. And the security at St. Andrews Country Club is state of the art. The guardhouse is gated and manned around the clock, and armed foot patrols with trained K-9 guard dogs ensure safety within the community is never an issue. The entrance is further backed with a new advanced infrared perimeter security scanner that immediately alerts the watchmen if any intruders attempt to enter the property. Even when you are gone, your St. Andrews custom estate can continue to be monitored. Just let the security team know the dates of your trip and they will take care of the rest. In terms of true resort-style living, dedicated concierge service is available to residents as well as Internet and curbside trash collection. The resort-style living at St. Andrews Country Club is highlighted by two well-maintained championship golf courses and a spacious clubhouse, totally refurbished in 1996. Never worry about tee times every again with two 18-hole championship golf courses, right in your own backyard. For the tennis buffs, St. Andrews has 15 clay courts and grandstand seating. The on-site fitness facility has the latest equipment and varying exercise studios. From the spa and family-friendly atmosphere to the Arnold Palmer Signature Design golf course and social activities, St. Andrews Country Club is for elite living only. The full calendar of social events, dining and special children's programming will keep the whole family busy. For a private tour contact is at Mizner Grande Realty. 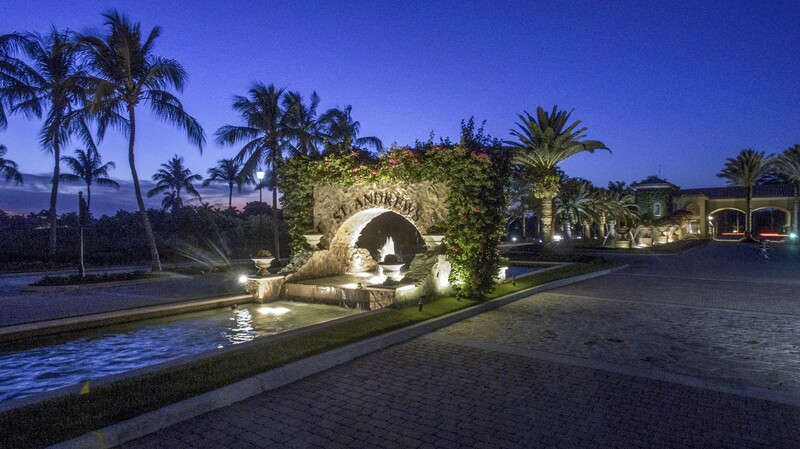 We specialize in all luxury home communities in Boca Raton and surrounding areas.